The '80s weren't a great time for those living in the U.S.S.R., although those living in Moscow had it better than most. As the rest of the country dealt with bread and meat rations, those living in the capital had access to fruit (sometimes), soda (a treat) and could even see a movie (if you had the money). 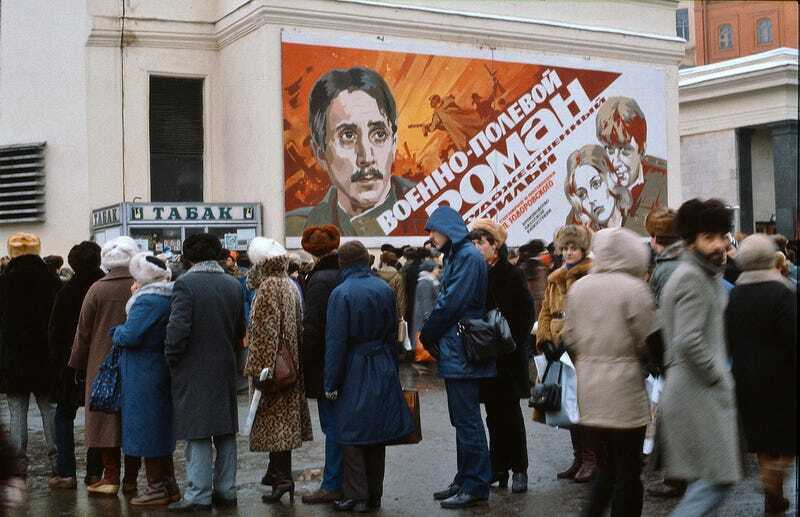 Here's a look at the "good life" offered by the Soviets during the '80s. An orange was a rarely-seen exotic fruit in the '80s Soviet Union. The GUM (a.k,a, the State Department Store), facing the Red Square. The Mir Cinema in Zagorsk (now Sergiyev Posad). The photos were taken by Aad van der Drift in 1984 and 1988, except when noted otherwise.